The Racing and Sports Breeding section provides in depth coverage on horse breeding news on both an Australian and international level. 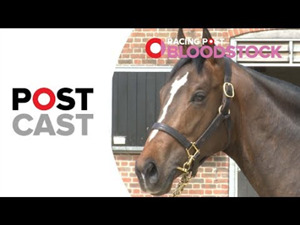 Racing And Sports features a wide array of news regarding the bloodstock side of racing, including sales catalogues and results, stallion performances and stories on a particular horse of note from a pedigree perspective. Take your time and view your favourite sire statistics and news. Readers are provided with feature stories on a daily basis along with press releases from leading stud farms and bloodstock agents. The importance of what takes place on a global level regarding bloodstock is not lost on Racing And Sports. A particular performance of a horse overseas can have ramifications from an Australian perspective, hence Racing and Sports have areas dedicated to the bloodstock news from New Zealand and internationally whether it be from the UK, Ireland, Europe, United States or the likes of Hong Kong and Singapore. As well as an abundance of news, the section possesses a number of additional features. Sibling Reports that include sales information are available for both Australian and International meetings. When looking for black type of a particular horse, Group Races Interactive provides interesting insight. Whether you wish to breed the next champion horse or solely have a passion for the industry, this section can potentially entertain you for hours on end. Racing Queensland has added the Listed Princess Stakes, one of the races cancelled at Doomben on Saturday, to Sunday's Sunshine Coast program. A daughter of Kingman lit up the sale ring on the opening day of the Tattersalls Craven Breeze Up Sale, becoming the highest priced filly ever sold at the Newmarket sale. US Triple Crown winner American Pharoah made a perfect start to his stallion career when his first runner scored and impressive win in Ireland on April 13. The fittingly named Aidan O’Brien-trainedMonarch Of Egypt (American Pharoah x Up by Galileo) won over five furlongs at Naas. Hong Kong Horse of the Year Beauty Generation made it eight wins in succession when he led all the way to take out the G2 Chairman’s Trophy at Sha Tin on Sunday, capping a huge weekend across Asia for New Zealand bred and sold products. 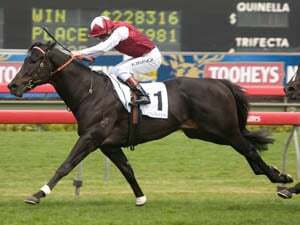 Beauty Generation is at the peak of his abilities and should be as potent as ever in the G1 Champions Mile (1600m) at the end of the month. Shuttle sire Cable Bay produced a winner with his first starter in the UK at Lingfield on April 2. The Archie Watson-trained Electric Ladyland produced an outstanding display to jump from the outside barrier and pull away to win in 2YO course record time for the five furlongs to become the first winner by the son of Invincible Spirit who is based at Woodside Park Stud in Victoria for his Australian seasons. Champion Japanese stallion Deep Impact will not complete the 2019 breeding season due to recurring neck issues. A Curlin colt made $US3.65 million to headline this week’s Fasig-Tipton's selected 2-year-olds in training sale at Gulfstream Park. Leading US stallion Pioneerof the Nile, sire of Triple Crown winner American Pharoah, has died suddenly at the age of 13 at WinStar Farm in Kentucky. Pierro 4YO Furore added to New Zealand’s unmatched record for producing classic winners in Hong Kong with his outstanding victory in Sunday’s $HK18 million HK Derby at Sha Tin. 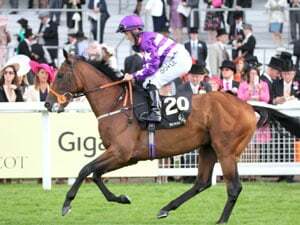 The Frankie Lor-trained Furore was bred in New Zealand by Jonathan Munz under his GSA Bloodstock banner and was sold as a yearling at Karaka. Progeny by O’Reilly and Snitzel commanded the top prices at Friday’s Hong Kong International Sale at Sha Tin. Godolphin won four of the seven races on Super Saturday at Meydan including the G1 Jebel Hatta with Frankel’s exciting son Dream Castle. The 5YO gelding Dream Castle became the sixth G1 winner by former champion Frankel when he recorded his third consecutive victory at Meydan in his final lead-up to the G1 Dubai Turf on World Cup night on March 30. By Gee He's A Beauty! 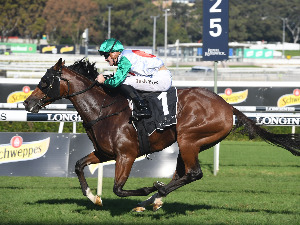 Karaka graduate Beauty Generation continued his spectacular dominance of Hong Kong racing with another emphatic victory in Sunday’s $HK10 million Queen’s Silver Jubilee Cup at Sha Tin. It was a seventh consecutive win for the unstoppable Road To Rock gelding, who was bought for just $NZ60,000 at the 2014 NZB Select Sale at Karaka by Hermes Syndications. Much-travelled veteran Darley sire King's Best has been retired from active stud duty. The 22-year-old son of Kingmambo will spend his retirement at Darley’s stallion complex in Japan. See where the money is going for the upcoming feature races. All the best racing news from areas away from the main metropolitan centres.